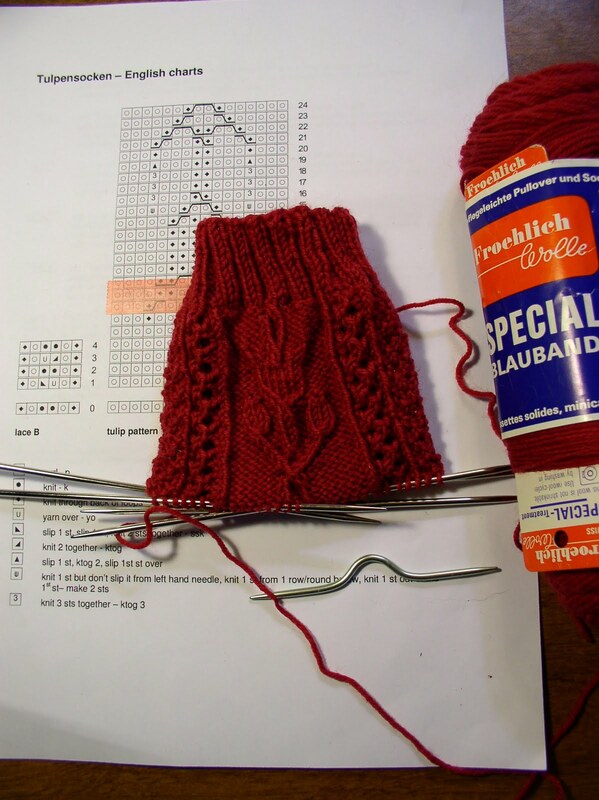 Lorrie knits and sews: How do you eat an elephant? One bite at a time. Luckily I'm not the one with the elephant, dear remodeling daughter is! Her bathroom tile fell off the wall in her shower earlier this week. After further review, she will be re-tiling the whole bathroom, repairing old water damage using cement board instead of plywood among other things. This is the original problem. 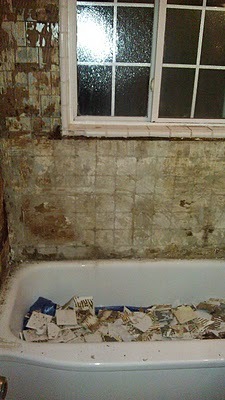 She now has most of the materials and destruction has commenced. It now looks more like this. Luckily, she has some experience that she gained working on our house. Hopefully some of the men in her life can help her. It's not easy being a single mom homeowner, who is presently unemployed. I went on a Home Depot run with her today to get green board, cement board, and some other stuff. At least we can put things on top of my car. At my house, the center hall is being worked on. Nothing exciting to show, just patch, sand and paint. Closets are being refilled, clothing is being culled before going back into the closets. Two of the rooms are waiting for warmer weather because the ceiling have damage from ice dams. 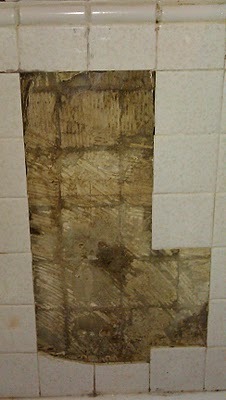 Wall work will commence when that problem is fixed. I'm working on a pair of socks for above daughter. Her Christmas socks shrunk in the dryer. I had used Jojoland Melody Superwash and didn't expect a problem. 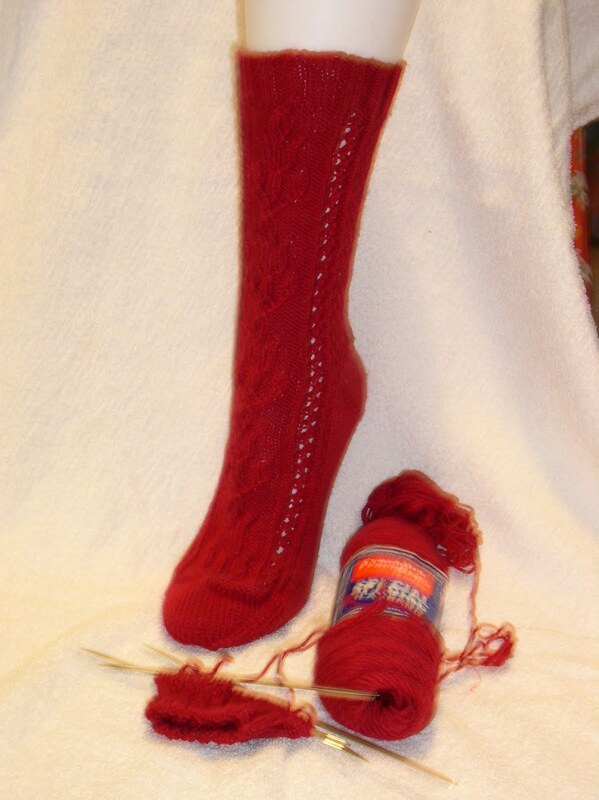 She gets the red socks that I was knitting because it's "fire" month in the Ravelry Solid Socks group. I had the yarn and a pattern that was in my queue for a while. I thought I would put them in the gift drawer, since I already have three pairs of solid red socks. These are called Tulips by Stephanie van der Linden. I obviously need a better photo. The pattern is one of her earlier ones, and is basically just a chart with minimal instructions. 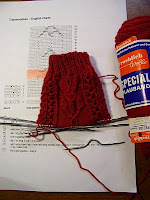 I had seen the tulip pattern in one of my other books and had long term plans for making socks. The cast on picture may be clearer. 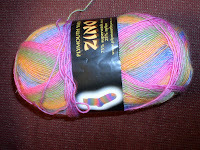 I'm working on a shawl from this yarn. I will offer the design to Plymouth Yarn when I am a little further along. They had requested a shawl and it has taken me a long time to get it together. I don't have much experience designing shawls and had trouble fitting the design into the triangular shape. This is a 100 gm ball of sock weight yarn.